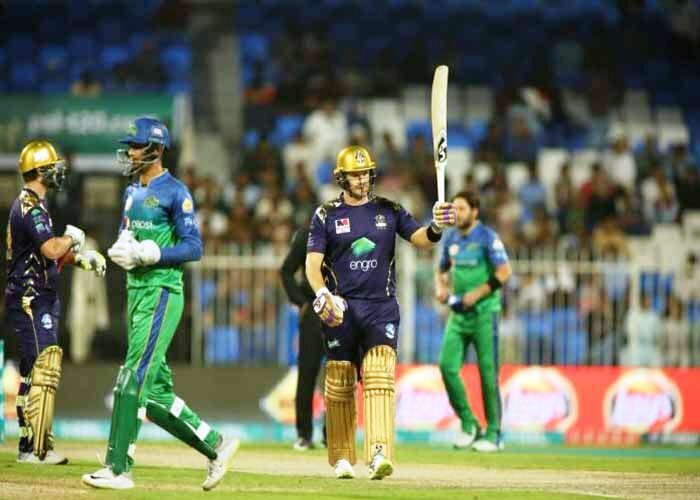 Quetta Gladiators completed the hat-trick of victories in the fourth of edition of Pakistan Super League as they knocked down Multan Sultans convincingly by 8 wickets while chasing 161 runs in a game played at Sharjah on Wednesday. In reply of Multan Sultans’ 160 runs, Quetta Gladiators were off to a flier. The two openers, Shane Watson and Ahsan contributed 39 runs merely in four overs, courtesy of Aussie’s assault. However, as Sultans’ lanky fast bowler came on to attack, he managed to get rid of the youngster Ali (9), which dented Gladiators’ perfect start. Shane Watson played a gem of a knock for Gladiators and raced to his half-century on 29 deliveries with the help of 11 boundaries. He was looking in complete control, but the veteran all-rounder Shahid Afridi got rid of him after he scored 61 off 40 deliveries. However, Riley Rossouw continued his onslaught, picking boundaries almost at his will, which helped Quetta Gladiators to get closer to the target. He raised his half-century off just 35 deliveries with the help of seven 4’s and a six. The in-form batsman for Quetta Gladiators, Umar Akmal alongside his South African counterpart took their team home, remaining unbeaten on scores of 17 and 67 respectively. 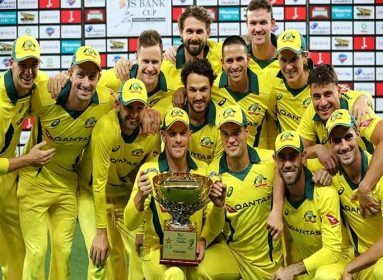 They contributed 66 runs together as the two-time runner ups chased down the target in 18.2 overs. 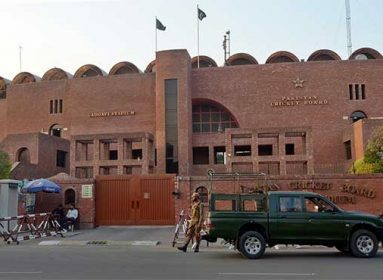 Mohammad Irfan and Shahid Afridi remained the only wicket-takers for Multan Sultans with one wicket each, which could not impact the outcome of the game. Earlier, right-handed batsman, Shoaib Malik played a captain knock of 53 runs which steered his side to post a fighting total of 160 runs against Gladiators in the eighth match of the PSL. Malik took the responsibility when his team lost three wickets on just 64 runs. He along with Daniel Christian put 74 runs on the scoreboard together which released the pressure from his team. Earlier, a successful review by Mohammad Nawaz brought the first breakthrough for Gladiators after sending Sultans to bat first. Nawaz pitched the ball up which was missed completely by Vince while attempting a sweep shot. A strong appeal by Nawaz was rejected by the umpire but a successful review cost them their first wicket to Sultans. Vince made 28 runs. Shan Masood missed out on a flipper as Fawad Ahmed took his first wicket. Masood scored 18 off 16 balls including three boundaries. Lauri Evans remained unlucky after getting run out. Skipper Malik wanted the second run but he was not interested which cost Sultans third blow. 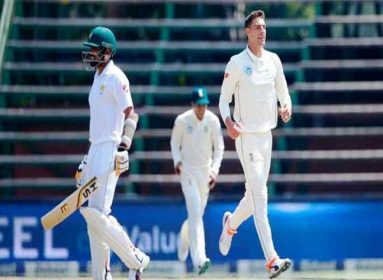 The three wickets in quick successions hurt Sultans’ momentum and no other batsman than their captain, Shoaib Malik could contribute significantly with the bat during their inning. Andre Russell looked to shift the game back in Sultans’ favour as he struck some lusty blows in the backend of the inning, but he was undone by a full and wide delivery of Ghulam Mudassar as Riley Rossouw took a ripper. Mohammad Irfan Junior and Ghulam Mudassar struck twice, while Sohail Tanvir, Fawad Ahmed, and Mohammad Nawaz took one wicket each.